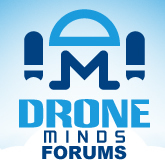 Discussion in 'General Drone Forums' started by Jonathan, Sep 2, 2018. I haven't put up a video in ages, so I got out and about this week and made this little video, with the little Anafi drone, which I'm growing to like quite a lot. This video flies of water and trees, lots of ripples and details, to see how the camera can cope. I am waiting for the Anafi to be less expansive and I am almost sure to buy it one day or another. I own a Mavic Pro and am very glad with it but the camera. It seems to me that the Anafi's raw videos are easier to grade. Hi lulu, sorry for the slow reply, I was busy yesterday. It is definitely quieter than the DJI drones, the Mavic Pro and even the Mavic Air. It's even a tiny bit lighter than the Mavic Air. I've been using it indoors at weddings, and it's been very popular with guests. With music playing you can't hear it at all. People only noticed it when they felt the breeze overhead. The pictures aren't as good as the Phantom 4 Pro, or probably not the new Mavic 2 Pro, but it's so convenient and light I'm glad I've got it. One is 24fps at a beach and one is plog with traffic and countryside. The video is usable for me for many situations, which is amazing considering how small it is compared to what I've had in the past. Compared to my Mavic Pro the videos are really much less sharp. We can improve a little bit in Premiere Pro (or other) but not so much as some parts of the pictures would be oversharped. The lens is fixfocus, this has probably something to do. But the colors are wonderful! It is almost 2 years that I try to have something decent with my Mavic Pro. Yellowish, greenish, sad, too much magenta as soon as I try to do something etc. My low cost Leagoo chinese phone is better, my Sony actioncam too. Here this is so nice! It is a bit soft, especially if you use the "lossless" zoom. The advantage for me is it's almost half the price of a mavic and a lot lighter and quiter, and it doesn't have all the data collection and occasional compass error stuff. I'm very interested the try the Mavic 2 though. This is the point for me: quiter, quick and easy to operate, with a good video quality. Here in France, people are suspicious, because TV only report negative things concerning drones. It is forbidden to use them almost everywhere where it would be interesting, specially where I live because of military installations.